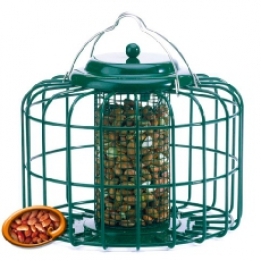 Squirrel Proof Mini Nut Feeder - Simply Bird Garden Birds Supplies. The original squirrel and predator Rolex Replica Watches proof wild bird nut feeder. The innovative design prevents the average adult squirrel passing through the bars and stealing the food. Easy to clean and fill.